This macro is to be run from the Calc program. The user insets values for the upper and lower triangles, and clicks the submit button. Then the macro draws two triangles in the cell selected. Each triangle is empty or contains a numeric value. The draw-page part of the document, since graphics are not part of the cell contents. So, you would use a draw page to draw shapes. This macro will create the dialog, add controls, and execute the dialog. A callback function will be attached to the submit button, and will draw the triangles. Imports are not included; A link to the relevant data type will replace the import. public XNameContainer m_xDlgModelNameContainer = null; // Allows to access controls by name. public XControlContainer m_xDlgContainer = null;       // The dialog contains controls, such as buttons, input fields, etc. // Define the dialog at the model - keep in mind to pass the property names in alphabetical order! public XWindowPeer m_xWindowPeer;     // This will ensure a dialog is opened. // draw_cell - Get the cell's place and size, and draw the 2 triangles over it. // Get the start point and the size of the cell. // Draw the triangle according to its coordinates and type, add its numeric value in it. Object shapeObj = doc_multiServiceFactory.createInstance("com.sun.star.drawing.ClosedBezierShape");  // This is the type supported for polygons. flags = flags = flags = PolygonFlags.NORMAL;      // All points are normal because the shape contains no curves. 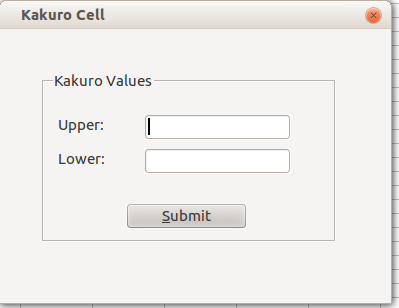 // The entry point: this function will be called, when the user runs the macro.